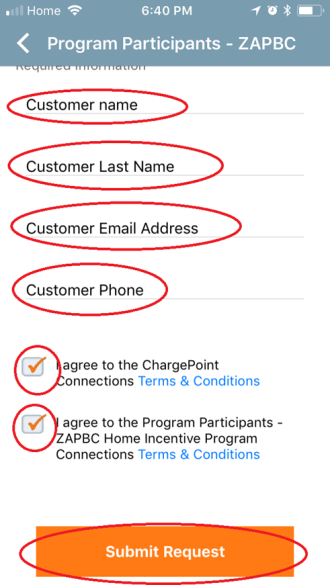 You must agree to the ChargePoint connection terms & conditions. You must agree to the ZAPBC Home Incentive Program terms & conditions. Once you click “Submit Request” you will be connected to the network. You should receive an email confirming your connection.